Happy Canadian Thanksgiving! For my American friends, you can remember this info for a month from now when it’s your turn. International friends, perhaps you cook Turkey for another holiday, you can use this too! You don’t want your happy celebration to be abruptly ended by food poisoning do you? 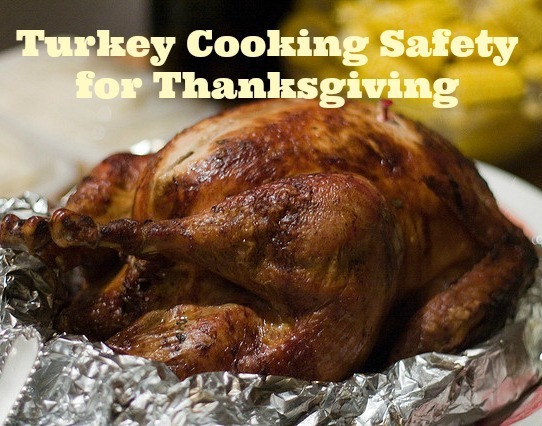 Don’t put your turkey directly in the fridge or on the counter without putting a plate under it to collect juices. Even if it comes in a sealed bag, it still make leak juices and you don’t want those juices all over your other foods and surfaces. Thaw turkey in the refrigerator or in cold water, not on the counter. Put leftovers in the fridge within two hours of cooking. Use leftovers within 2-3 days or freeze right away for later use.